A rat falling out of the arena hallway ceiling during the Carolina Hurricanes' warmup game of soccer was just a precursor to a wacky afternoon of playoff hockey. 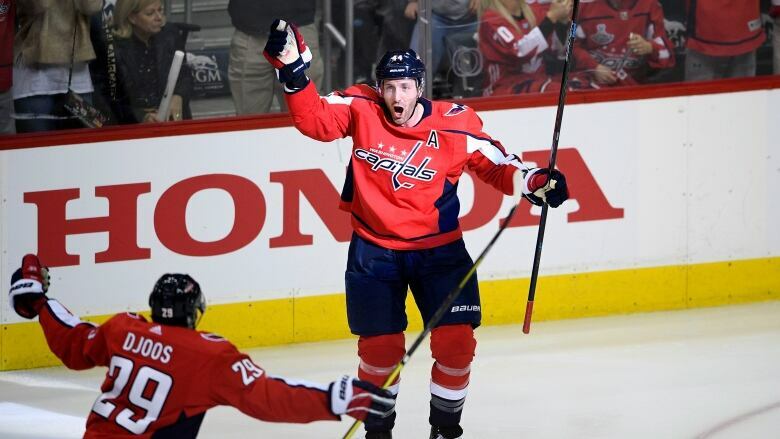 Veteran leader Brooks Orpik scored 1:48 into overtime Saturday to give Washington a 4-3 victory and a 2-0 lead over Carolina in the first-round series. His fourth goal in his 151st playoff game was his third winner, and Orpik became just the 11th defenceman in NHL history with two postseason overtime goals. During the ensuing power play, a one-timer from defenceman John Carlson hit Hurricanes goaltender Petr Mrazek on the right side of his mask and knocked it off. Mrazek winced in pain but did not get pulled for concussion protocol and stayed in the game. That only set the stage for Orpik's heroics. After Hurricanes defenceman Brett Pesce lost his stick and got one from forward Teuvo Teravainen, the Capitals had the opening they needed to take a 2-0 series lead and players mobbed Orpik to celebrate the father figure's clutch goal.